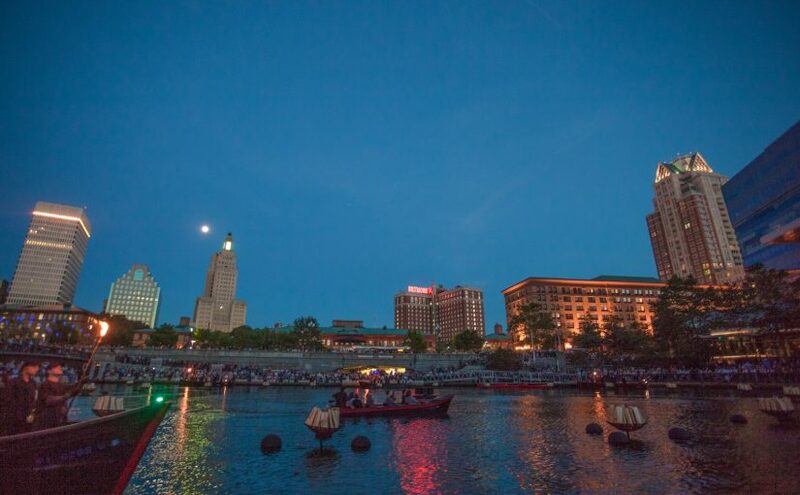 Today we’ll be joined by Rick Simone from the Cianci Educational Foundation, which just awarded WaterFire a generous sponsorship! The private foundation represents the merger of the Vincent A. Cianci Scholarship Fund and the Vincent A. Cianci Library and Research Center, said Cianci’s nephew Dr. Brad Turchetta. We’ll then have Ross Nelson from our sponsor Cox Business, who will speak about the Get Started RI business pitch event coming up on September 22nd. Get Started Rhode Island will highlight up to five entrepreneurs who will pitch their idea to a distinguished panel of experts. One winner will be named to receive up to $40,000 in prizes including a one year Cox Business technology package. Local businesses not competing are encouraged to attend this free event for networking and learning opportunities from accomplished leaders in digital marketing, funding and business growth strategy. Register by July 15 at coxblue.com/getstartedri. Episode 61 – Broadcast: June 29th, 2016 | Featured image: Waterplace Basin before the lighting. Photo by Erin Cuddigan.